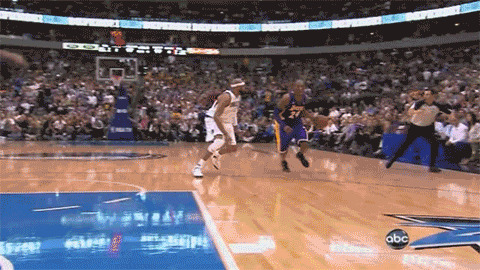 Kobe Bryant had one of his best games of the season in a huge 103-99 win against the Mavericks yesterday. He scored 38 points while shooting 62% (13 for 21), grabbed 12 rebounds, and handed out 7 assists. He went full Kobe in the fourth quarter, scoring 14 points and the kinds of contested jumpers that only he can drain. He was so hot from the outside that the Mavericks had to try and give him as little space as possible. But when that happened, he deployed a variety of pump fakes and crossovers to take advantage of Dallas’ overzealous defence. 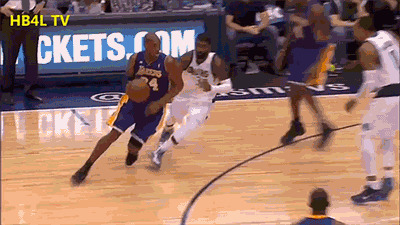 At age 34 Kobe is playing some of the most efficient basketball of his life. He has tweaked his game and become a more willing passer than he has ever been. But yesterday showed that he still has the ability to single-handedly win a game.